Knowingly or Unknowingly all my business ventures have been launched before I ready!! It was started even before I was out of college!!! Never possessed any technical or interpersonal skills!!! Could call myself a fresher entrepreneur!! This was a turning point not in my life but also for a bunch of friends and acquaintances who started their own ventures looking at the success of my first venture!!! My second venture People Justice Magazine!!! Started at the age of 24!!! No idea on how to run a magazine and that too a Tamil one!!! No expertise on collecting news!!! The venture failed as I was not full time into it!!! Also the team I formed didn’t connect with the vision I carried!!! I wanted to go digital during 2005 and the team collapsed for the same reason!!! Today it would have been a great if we have changed!!! Anyway the learnings and connects it gave me was stupendous!!! Also we were able to print magazines for 2 years!!! My third venture Cogzidel Technologies!!! Started at a time I was broke mentally and monetarily!!! Was running through multiple legal battles!!! Wanted to take a spiritual break but couldn’t!!! Still running the Show!!! Not reached the heights I anticipated!!! But able to run so far and I’m ready to take a great leap!! My third venture Cogzidel Consultancy Services!!! Was running through multiple legal challenges!!! No idea on what to do & how to do with this venture!! Just started with my pain points but was lacking the operation knowledge!!! My partner Bala was lacking the business knowledge and he was not ready too!!! Today this company is our identity in India!!! Almost every Startups in Chennai should be aware of CCS!!! In less than a year we got the business & operational knowledge and we are working on great things!!! My fourth venture Movie Production!!! Didn’t know anything about the industry!!! Didn’t have any capital when we started!!! The movie flopped miserably!!! But I wouldn’t consider it a loss as it was a crowd funded movie and the loss can be substantiated for the experience of being associated with the industry!!! Also can’t call it a failure yet as I’m on a sabbatical and planning to venture back!! This time not as a producer but as a distributor!!! But in every case I was not ready with Capital or Experience or Knowledge or Team or any other aspects… But as I perceived everything fell in line and things happened!!! So, I’d tell anyone running behind SUCCESS to blindly believe in the quote!! 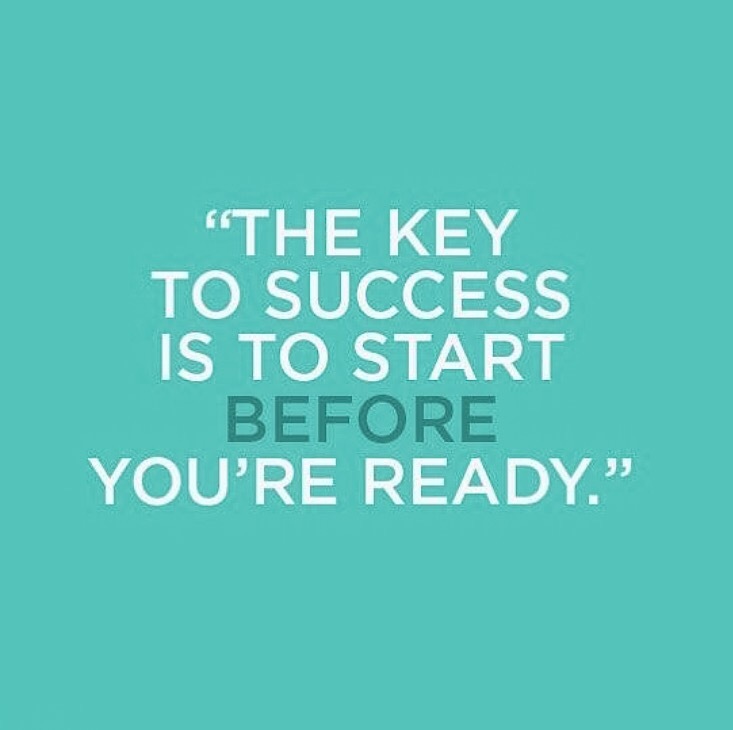 THE KEY TO SUCCESS IS TO START BEFORE YOU’RE READY!!! ‹ PreviousIs it possible to buy a property from fisherman hamlet??? Next ›Criticising an entrepreneur yields empty reaction!!! Babeeee!!!!! !